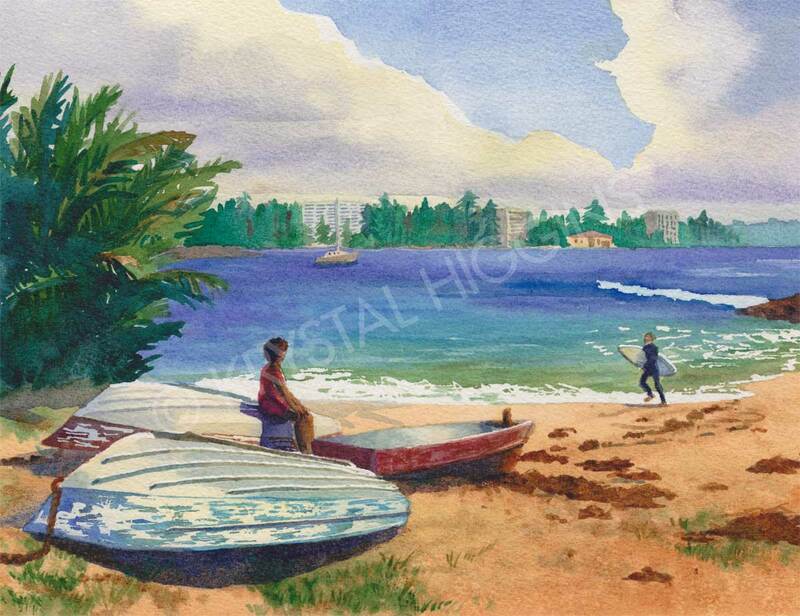 In this tranquil watercolor painting, captured on a winter trip to Shelly Beach (outside of Sydney, Australia), a woman rests on an overturned boat to catch a break from a long walk. The clouds have parted momentarily, providing some sunshine to the afternoon. Painted on Arches 300lb Coldpress with Winsor & Newton paints.